‘You must be a lawyer,’ Johnny mumbled. Because your answer is technically correct but absolutely useless, and the fact is I am still lost’. “Then you must be in management’, said the passer-by. ‘You have such a good view from where you are,” the lawyer said, “and yet you don’t know where you are and you don’t know where you are going. The fact is you are in the exact same position you were in before we met, but now your problem is somehow my fault! One of the problems in life is that we often take credit for things when they are going well and then blame someone or something else when they are not. But such an attitude is neither honest nor helpful. A better attitude would be that of the author of the 103rd Psalm, which is attributed to King David. Read Psalm 103. 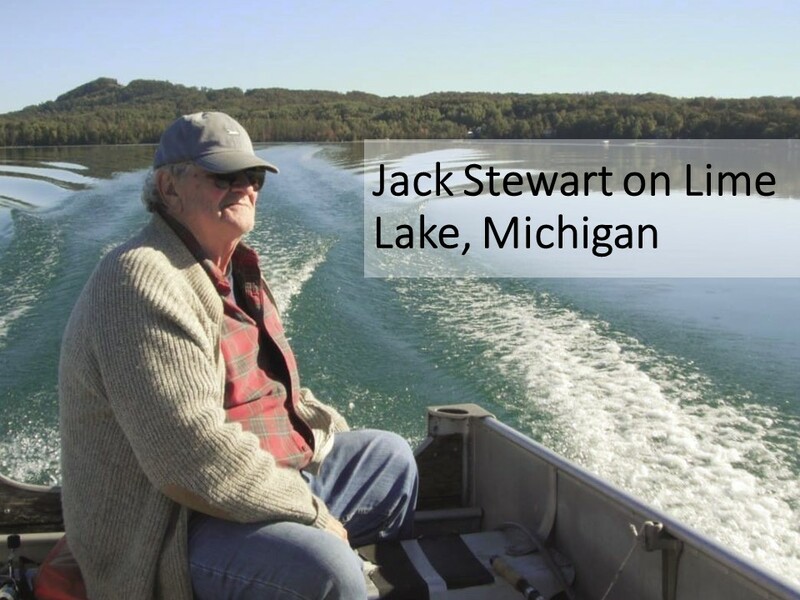 One of the delights of having dinner with my friend and a theological mentor, Jack Stewart, is listening to him say grace. At the table, once everyone is seated, he’ll reach out and grab his wife’s hand and whoever is sitting to the other side of him. Then he’ll begin with a strong deep voice, “Bless the Lord, all my soul and all that is within in. Bless his holy name. Bless the Lord, all my soul, and do not forget all his benefits.” As soon as he begins, everyone becomes quiet and listens. The grace he says at meals is always the same, opening with the first two verses of this Psalm. Sometimes he’ll add his own prayers after the opening, but not always. These two verses are sufficient. When he is in a restaurant, it’ll be the same prayer, only not quite as loud as at home. At home, the dishes might rattle as if even they are praising God. 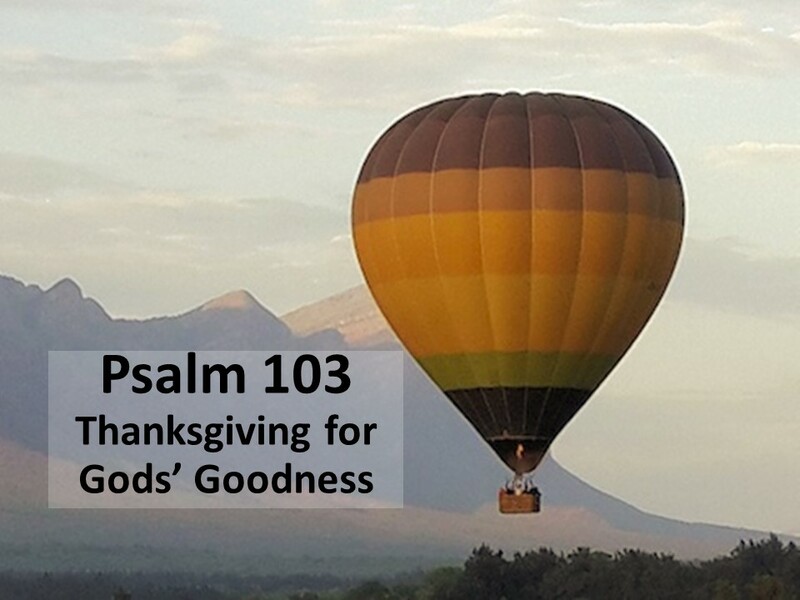 The opening verses of Psalm 103 is a fitting prayer. Like many of our prayers, it may be more for us than for God, for these words remind us of our duty to praise God and to remember what God has done for us. God has cared for us. God has forgiven us. The God who gave us the breath of life, saves us and heals us and offers us a second and third and forty-ninth opportunities to get it right. Part of what makes this Psalm so rich is that the Psalmist draws from his personal experiences and from the experiences of his people with God. 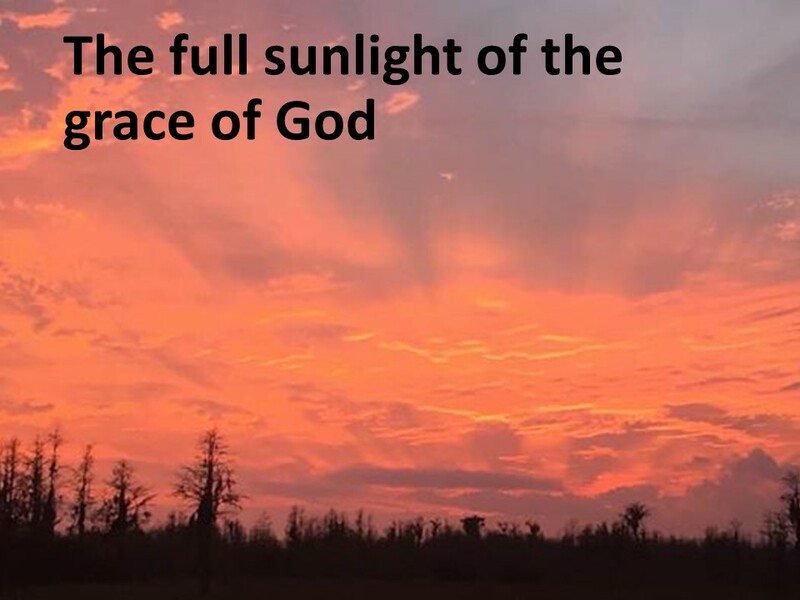 Even though, like all of us, he has succumb to sin, which cut him off from God, he is able to, as one commentator writes, “enjoy the full sunlight of the grace of his God.” Martin Luther called this Psalm the proper master and doctor of Scripture.” He’s right as these words encapsulates much of our theology, which when done right focuses only on the praise of God. Notice how the Psalm builds. In the opening verse, the Psalmist speaks to himself as he calls for his need to bless or praise the Lord. But then in verse seven, he calls on all Israel to join him. Adding to the Hebrew voices are all mortals, as he calls on them to join his song in verse 15. By verse twenty, he’s calling on the angels in the court of heaven and then when comes to the end, he’s calling on all creation—from earth to the stars. Think about listening to a piece of music that begins with a single instrument, then the conductor calls in more from this section of the symphony, then brings in instruments from over here, and over there. Each time new instruments are added, the sound rises until finally when all have come in, the music reaches a crescendo. That’s what’s happening in this Psalm. But why? In verses 3 through 6, using a series of verbs, the Psalmists points out what God has done: forgives, heals, redeems, crowns, satisfies, renews, and works. There are two great themes of God’s work highlighted in this Psalm: one is forgiveness and the other is the combined traits of the Almighty: love and compassion. From the vantage point of the present, looking back, the Psalmist has seen where God intervened on his behalf. He knows the stories of how God has guided and protected Israel, going back to Moses and leading the people out of Egypt. He quotes from Exodus the line that God is merciful and gracious, slow to anger, and abounding in steadfast love and faithfulness. 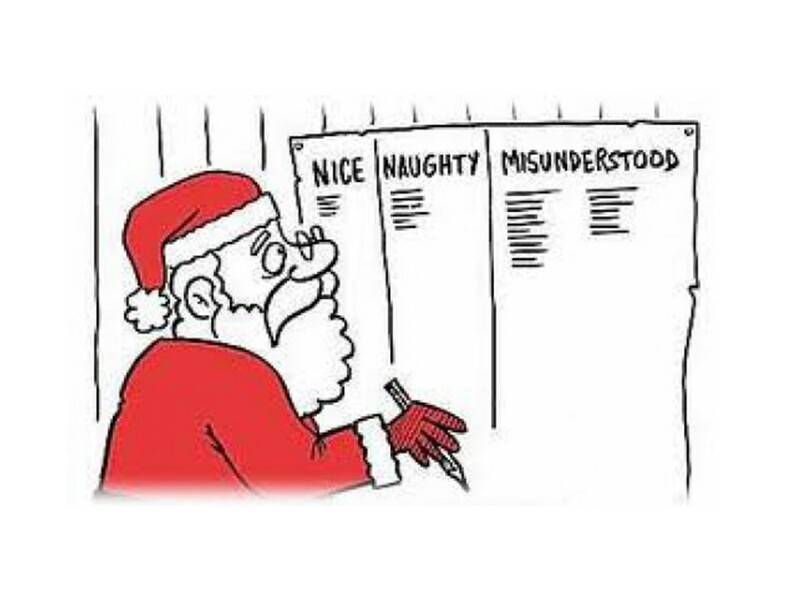 God isn’t a Santa Claus, checking if we’ve been naughty or nice. He understands that God is enthroned in the heavens, with an overview of all the world, while at the same time can be intimately connected in our lives. God is compassionate, like a father. And as Creator, God knows our beginning. Our lives, when measured against history, are short, but God’s love is everlasting. Yes, we should praise God for all that God has done for us. The Psalmist, in bringing in all the voices that have experienced God’s providence, calls on you and me to join in this song of praise. Bless the Lord, O my soul. Be thankful and grateful so that all might know that God is good. The message of this Psalm is one that we need to take to heart. 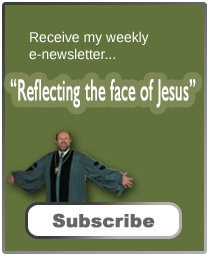 Too often, these days, people are looking askew at the Christian faith. They see the church as judgmental, even hateful. We have to change that perspective! 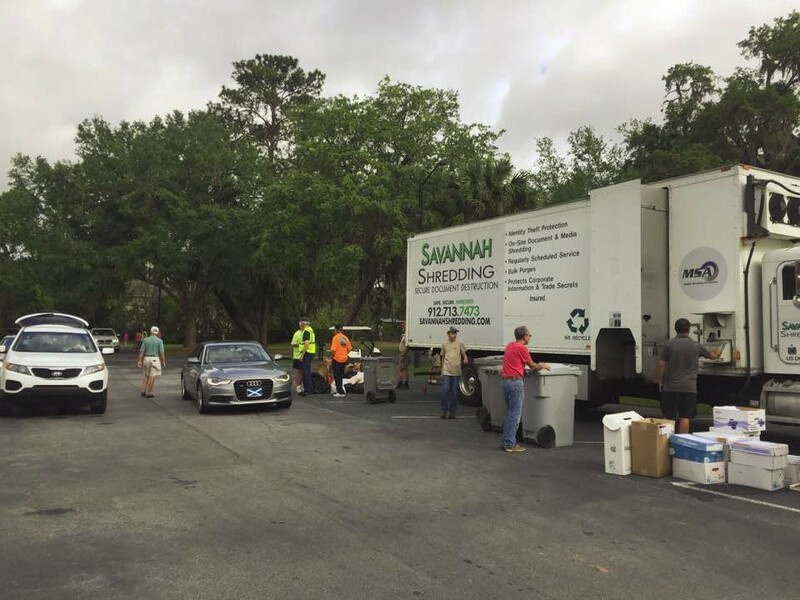 Yesterday’s Shredding Event is one example of trying to set a new course. We need to reflect a faith grounded in this Psalm instead of one that just condemns all that we see wrong in the world. As one who has given up on church said: “The church should be a place where people are loved collectively rather than judged individually.” Certainly, there are a lot of things wrong with the world, but love (not condemnation) is what will redeem it. God loves the world, John 3:16 tells us, so that he sent his only Son. As followers of Jesus, we are to strive to live Christ-like lives. This Psalm shows us what God is about. This Psalm reminds us of God’s loving care. We should also strive to live in such a manner. Let us also love the world and then, maybe, as we call on it to join us in giving thanks to God, it just might. But regardless, as we worship and praise God, we are bringing God glory and that’s our calling. Amen. Artur Weiser, The Psalms, translated by Herbert Hartwell, (Philadelphia: Westminster, 1962), 657. James L. Mays, Psalms: Interpretation: A Bible Commentary for Teaching and Preaching (Louisville: John Knox Press,1994), 405. There are a lot of books and articles that are making this case. See Dan Kimball, They Like Jesus But Not the Church: insights from emerging generations (Grand Rapids: Zondervan, 2007). 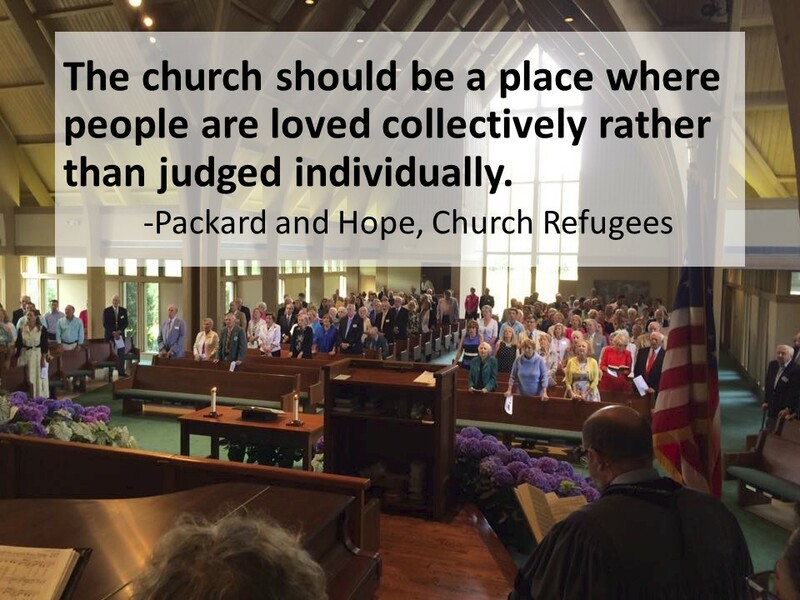 Josh Packard, Ph.D and Ashleigh Hope, Church Refugees: Sociologists reveal why people are DONE with church but not their faith. (Loveland, CO: Group Publishing, 2015), 32.